What currently available printer do cartridges for the CLX3180 / 3185 printers fit? We replaced our CLP-320 with a CLP-360 inadvertently and have a stock of the above cartridges.. Many thanks , Caroline. Samsung CLP-320 / Samsung CLP-320N / Samsung CLP-325 / Samsung CLP-325W / Samsung CLX-3180FN / Samsung CLX-3180FW / Samsung CLX-3185 / Samsung CLX-3185FN / Samsung CLX-3185FW / Samsung CLX-3185N / Samsung CLX-3185W. Unfortunately, we're unable to advise you on which of these machines is still currently on sale so you would need to contact Samsung for this information. 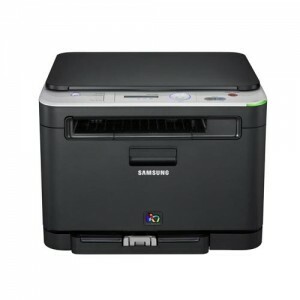 How do I install the Samsung CLX3180 laser printer on the iPad? Unfortunately, we do not sell the iPad or printers and as such, we are unable to answer this question. Please contact either Apple or Samsung for technical support. Marketed as part of Samsung's elite series, the CLX-3180 is packed with advanced features that make it a versatile and god value choice for medium-scale offices. However, drawbacks, such as problematic photo print quality and speed limitations might make you look for other options. For a multifunction printer, the Samsung CLX-3180 is compact at 16.3x14.7 inches and weighs 33.5 lbs. The machine is also capable of USB direct printing and scanning. The print speed is 17ppm in monochrome and 4ppm in full colour, and the display is a standard dual-line, 16-character LCD. The Samsung CLX-3180 is mid-priced and budget-friendly multifunction printer. The toner is affordable, too, and can be purchased individually or in sets. Monochrome prints are top notch, and you can expect vibrant colour prints. The Samsung CLX-3180 is also lightweight and is easy to move. Commonly-used operating systems work with CLX-3180 because of its SPL-C Emulation feature. Speed is one of the major drawbacks of Samsung CLX-3180 because at 17 ppm for monochrome and 4 ppm for full colour prints, it is slower than its competitors. Some users also complain about the inconsistent print quality of pictures.